I received a phone call a wile back ago from one of my former troops... 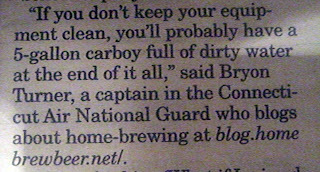 He was away on training, and found an interesting article about homebrewing in the Air Force in the Air Force Times, and was amused to find a quote from his former boss and fellow homebrewer. 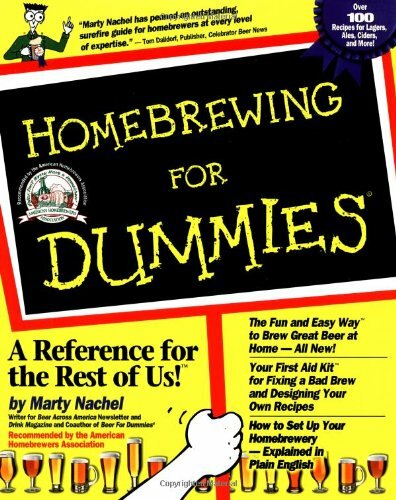 His wife was kind enough to bring me the copy he snagged for me and she brought a bottle of his latest homebrew. 1. Appearance - Cloudy, murky reddish brown, clearly unfiltered. A short yet persistent head providing a fair amount of lacing. 3. Taste - Strong sugary sweet roasted malt taste coupled something that reminds me of a mix of beats and raisins. 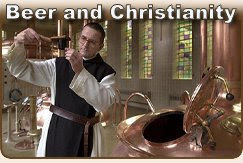 Reminds me of a stronger version of my Frankenbrew. 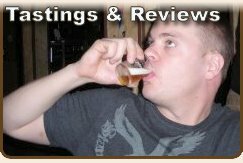 A twangy bitter-sweet end with a fairly strong alcohol flavor. 4. 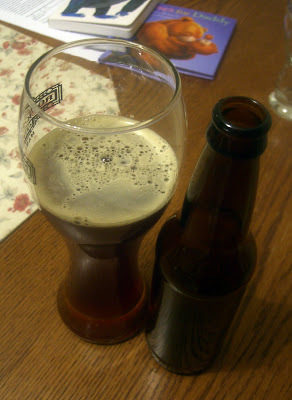 Mouthfeel - Surprisingly light bodied, lacks carbonation, but that may not have been true for the entire batch. Great article. I have been subscribed to your blog for some while and read it when I can. 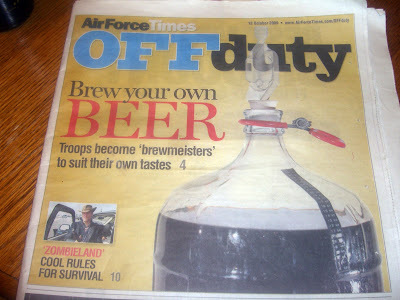 When I came across this article about military servicemen that homebrew, it caught my eye. I work at Great Lakes Naval Base. 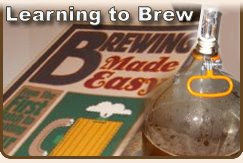 Still a beginner homebrewer, but would love to get in contact with you via email or through your blog for a network of military homebrewers. Let me know what you think? This is a good article. It show that military members are more than just machines, we have personalities and outside interests too. 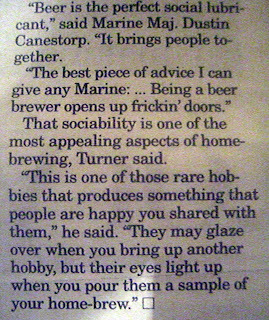 It is great to have such an interesting hobby and the end result, the awesome beer, is just as good. Like any good service member I would like to add, enjoy, have fun, but please do it responsibly.